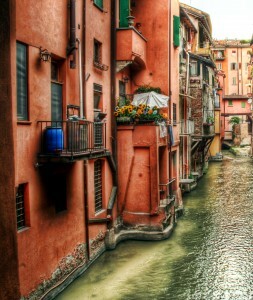 Bologna owes the name ”la Rossa” to its famed red buildings and to the fact that it is the birthplace and the home of Italy’s political left. With its streets like embroidered cloth threaded with arches of continuous colonnades, the heart of Bologna is a giant cloister. 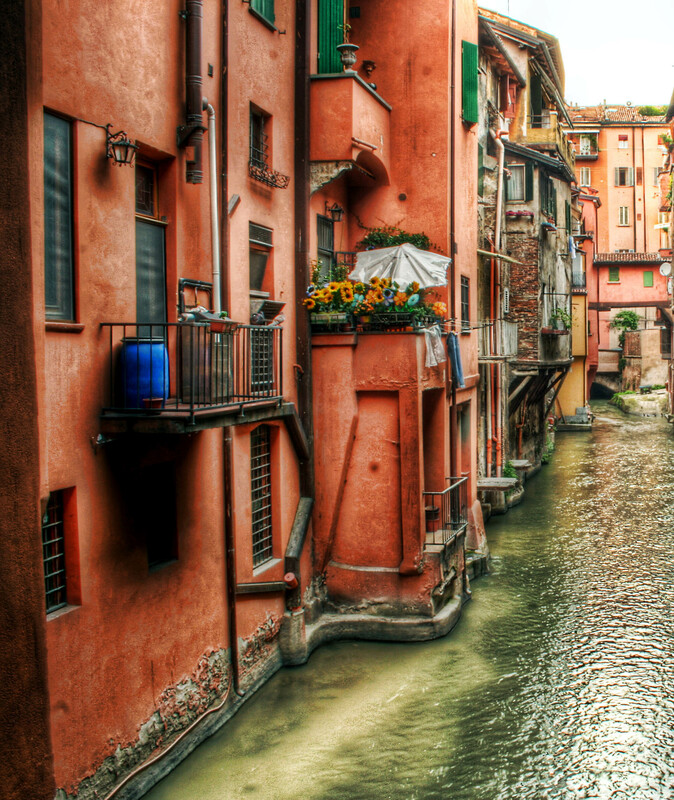 Above and behind its porticoes, Bologna is a rose-red city of unique churches and undiscovered palaces. 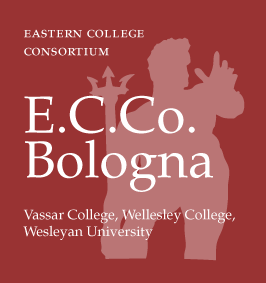 The E.C.Co. program’s aim is its students’ cultural and linguistic immersion in the Bolognese and Italian social environment. Our suggestion is: explore the city, travel to other cities around Bologna and take full advantage of everything the region has to offer! Bologna is well connected to many other important Italian cities such as Florence, Venice, Rome, Milan, Ferrara, Ravenna and others. To reach these places we recommend traveling by train; for destinations further away, especially in the south of the country, you can also fly or travel by bus. 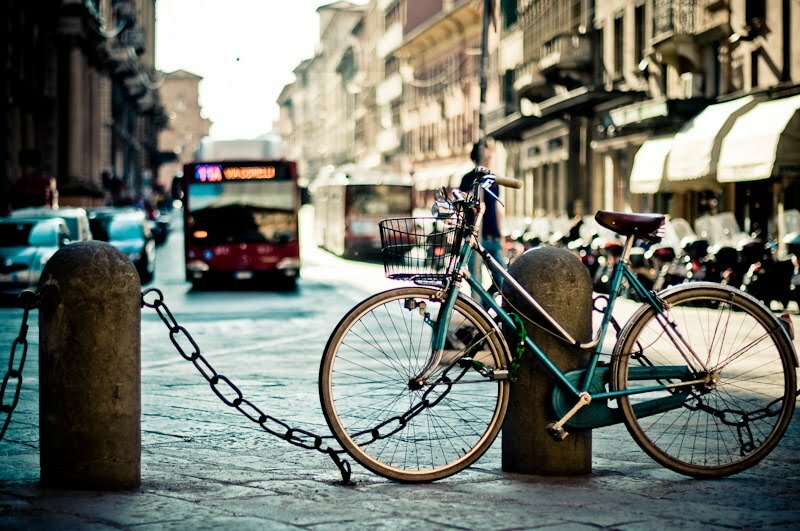 Students in Bologna love riding their bikes and moving through the city without polluting it. You will find plenty of second-hand and new bicycle shops and bicycle paths in the city. Do not miss the unique Bologna Bicycle Auction, organized by student associations and the city of Bologna in order to promote the use of ecological transportation. Public transportation is also very efficient. Check out the Tper website, while keeping in mind that you can reach pretty much any destination in town with a 20-minute walk. Under the red porticoes thrives a vibrant and eclectic cultural community, involved in a great number of festivals and cultural events in which you may want to participate, such as: BIL BOL BUL the International Comics Festival rich in exhibitions, conferences and screenings. This event takes place in March every year. PARTOT PARATA “Parade for Everyone,” is a street parade that involves the entire community through music, dance, street theatre and innovative performances. Happening in June each year, the festival fills the streets of the city center. It is strictly ecological, with no machinery of any sort and only live music. Some of the artists taking part hold free workshops for creating parade floats and masks, as well as teaching singing, dancing, juggling …and much more! This entry was posted in why_bologna. Bookmark the permalink.